I’m headed to Italy for a couple of weeks on vacation but wanted to leave a few parting thoughts on how things have gone since the “weak” NFP print we got last Friday. For the record, considering we’re almost at full employment, I’m not expecting large NFP gains at this stage anyways. 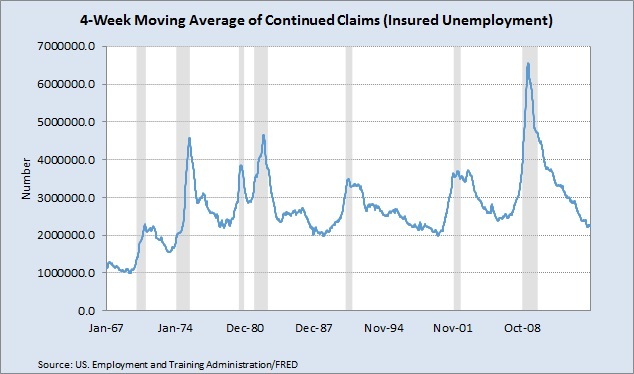 I’m more concerned with weekly claims data and the phenomenon of older higher cost workers being replaced by younger lower cost workers and the suppressing effect on wage data it is having. 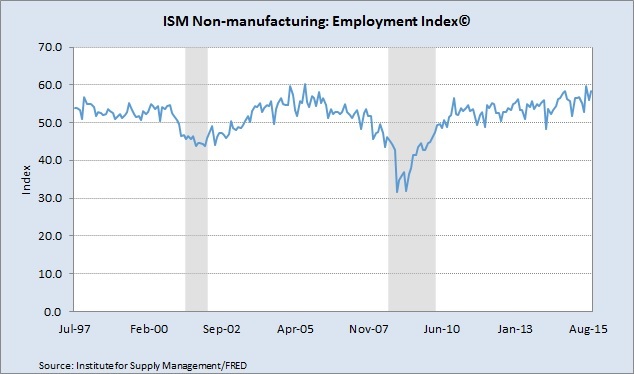 Also in the ISM report, employment ticked up to a very strong 58.3, well above its historical average of 51.3. The report cited labor as being a commodity that is up in price and short in supply. Considering the turbulence markets went through in September, I’m surprised the data didn’t come in more soft. That is a testament to the strength of domestic consumption and the economy. With that, when you look at the ISM employment component and the weekly claims data we got on Thursday, we can see that the labor market continues to tighten. Even with the solid economic data we’ve been seeing, financial media are still throwing around the dangers of deflation and a looming recession. Much of this I attribute to the fact that fear sells and is much easier to peddle than the truth. Deflation continues to be presented as this one-dimensional negative occurrence when in fact it is benevolent in the current economic environment. At some point, people will see the difference between supply side (technological advances driving costs down) driven deflation and lack of demand driven deflation. Economists like to argue that as prices fall, consumers will halt consumption in anticipation of lower prices. In reality, consumption has already increased as prices have fallen. 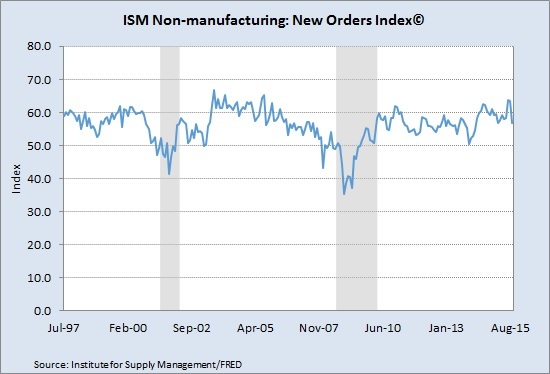 The St. Louis Fed put out a great note showing this occurrence in durable goods. My contention has always been that as long as employment is stable, consumption will continue and consumers will reap the benefits of lower goods prices. As for inflation, we already know that housing, various services and types of insurance have all risen dramatically in price. In addition to this, we have companies like Nike and Netflix telling us that they have also raised prices. These are not things that happen when companies are seeing recessions on the horizon. So with that, I’ll be headed off the grid for a bit but will certainly be in touch through our beloved Twitter finance community.